Outstanding instructors and neat facilities are just some of the reasons why Halifax First Aid is said to be the best when it comes to first aid and cardiopulmonary resuscitation programs. One of the most popular programs offered by this company is standard first aid. Over 2000 people register every year with this provider and almost one third of each participant is receiving this popular course. This class is featured on weekdays, week nights and weekends at very affordable prices. This page will outline the reasons why you should sign up for standard first aid training with Halifax First Aid. 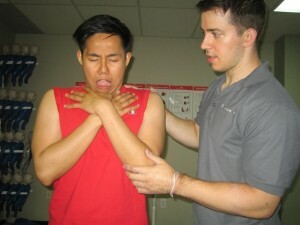 Uncover the best first aid and CPR techniques through this amazing Canadian St Mark James training provider. Visit the site to view all of the positive comments and feedback about the standard first aid programs provided by the company. Register today and learn to save a life. This approved St Mark James company also offers refresher and private classes for small businesses and individuals. Individuals registered in the cardiopulmonary resuscitation (CPR) course will gain knowledge about the most up-to-date techniques for infant, adult and child rescues. AED training is normally included in the first aid and CPR class. The three significant first aid training courses available are childcare, standard and emergency first-aid. Cardiopulmonary resuscitation (CPR) is integrated in each course. Halifax First Aid allows participants to decide the tier of CPR education to be integrated with the lesson. Candidates who register through this provider will learn to use many first aid and CPR tools such as pocket masks, bag-valve masks, triangle bandages and epinephrine injectors (shown in picture below). Candidates will also practise CPR skills on adult and infant mannequins and practise using AED trainers. The most popular first aid and CPR lesson provided is undoubtedly standard first-aid. Participants normally take this course with either cardiopulmonary resuscitation (CPR) level “C” or cardiopulmonary resuscitation (CPR) level “C” for health care providers. 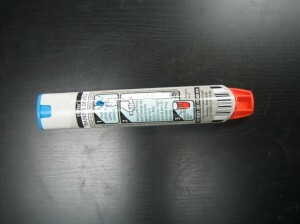 Emergency first aid is also very popular. Candidates may either sign-up with cardiopulmonary resuscitation level A or level -C. Child care first aid is another highly sought after class. Individuals can only sign-up with cardiopulmonary resuscitation -B with this training course. Halifax First Aid features a number of CPR “only” programs. Cardiopulmonary resuscitation level A is regarded as the most basic program. It trains participants with the most basic rescue techniques for adults. Cardiopulmonary resuscitation -B is taken together with childcare first aid. It is not available as a stand-alone training course. CPR level C teaches participants rescue techniques for child, adult and infant patients. Lastly, cardiopulmonary resuscitation (CPR) level “C” for health care providers (CPR “HCP”) is regarded as the most extensive program developed to educate participants to utilize supplemental equipments in the course of rescues. Halifax First Aid also features standard first aid re-certification classes. All the available workplace approved re-cert classes are offered via this St Mark James training provider. To find out more about re-certification programs or private lessons check out Halifax First Aid’s website. Unnecessary deaths can be prevented through CPR. If initiated early on, it can double and even triple the chance of a patient to survive. CPR provides the much needed oxygen in the brain to delay cell death.